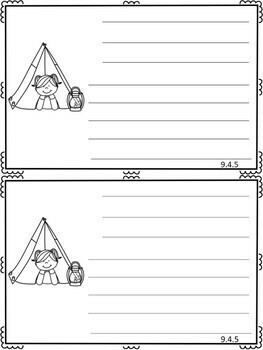 The objective for May is for the students to write independently. These booklets do not focus on spelling words correctly, rather how to communicate through writing. 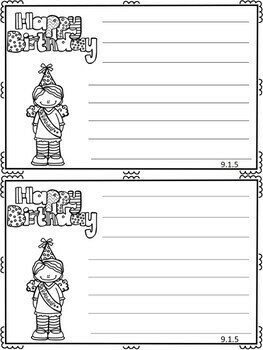 These booklets will allow the children to write independently every day. • October - the objectives are to be able to identify and write the missing letter in a word; writing lists; transition words; and labeling Halloween pictures. 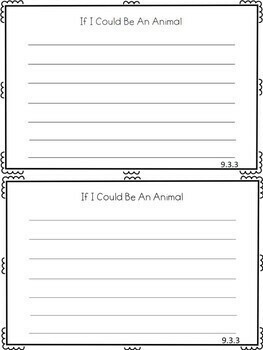 • November – the objective is to be able to make and write sentences This month only has 3 weeks of booklets to accommodate Thanksgiving holidays. The last week uses Thanksgiving pictures to write sentences. • December - the objective is to use transition words and combine sentences. This month only has 3 weeks of booklets to accommodate Christmas holidays. The last week uses Christmas pictures to sequence events. • January - the objectives are to learn and use adjectives; and story elements (character, setting, problem, solution). • February - the objective is for the students to write a story using last month’s story elements. Valentine’s Day prompts are included for the second week. • March – the objective is to write opinions and give reasons why. • April – the objective is to write a paragraph using a paragraph frame. 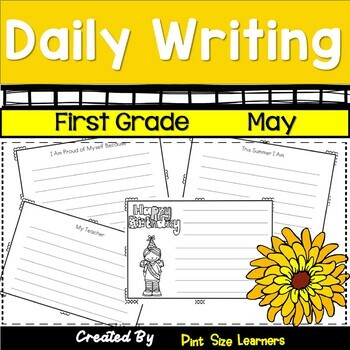 • May –the objective is independent writing. Prompts are provided each day.